Following an extensive and rigorous selection process to fill the vacant position of Dean of Students , the university has appointed Mr George Miti with effect from the 1st of September 2018. Mr George Pfumai Miti holds a Bachelor of Science degree in Biological Sciences and Geography and a Graduate Certificate in Education both from the University of Zimbabwe and an Executive Masters in Business Administration and a Masters in Public Health from Africa University. He is currently studying towards a PhD in Leadership and Governance.Mr Miti has wide experience in Education and Higher Education Management spanning over 25 years. He started off as a high school teacher in 1991 before being promoted to be School Head (Principal) in 1995. He led a number of Government and United Methodist schools between 1995 and 2002 before he joined Africa University as its first Financial Aid Officer within the Registry Department. In 2012, upon return from study leave, Mr Miti joined the Students Affairs department as an administrator in charge of Student Development and Campus life. He was later reassigned to lead the Research Ethics Unit, a position he held until his appointment as Assistant to the Vice Chancellor in 2017. 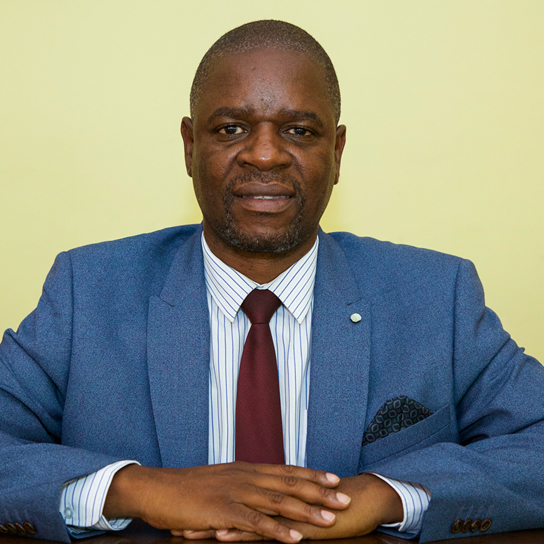 During his 16 years of service with Africa University, Mr Miti has served on several University Committees including Financial Aid, Work study, Work for Pay, Sports, Gender, Academic Regulations and Publications committees. He also acted as the Assistant Registrar in both the Academic Affairs and Human Resources Units within Registry at different times. He has also participated in grant writing initiatives with the AU Clinical Research Centre and was part of the team that spearheaded a series of research administration workshops as part of a collaboration between AU, National University of Science and Technology and University of Zimbabwe College of Health Sciences.